By the time that Williams had evolved their architecture to System 7 they no longer used transistor pairs to fire sounds in the same way and instead used a dedicated PIA on the CPU board to trigger sounds and later of course speech. 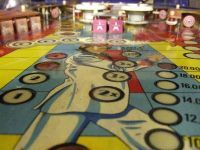 This development also meant that they could incorporate more playfield coils and flash lamps in their later games as they had freed up several transistor pairs on the driver board and that translated to more playfield toys. 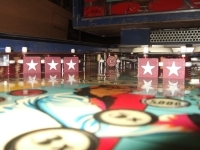 The playfield on Disco Fever is not overloaded with toys and features, having just 2 flippers, 2 kickers, 2 pop bumpers, 2 banks of drop targets, 5 roll over targets, 1 horseshoe lane and 4 stand up targets. Most of these were working fine but I stripped every component down in order to clean it, to replace all the rubbers and to replace all the bulbs, some of which can only be accessed by removing parts. 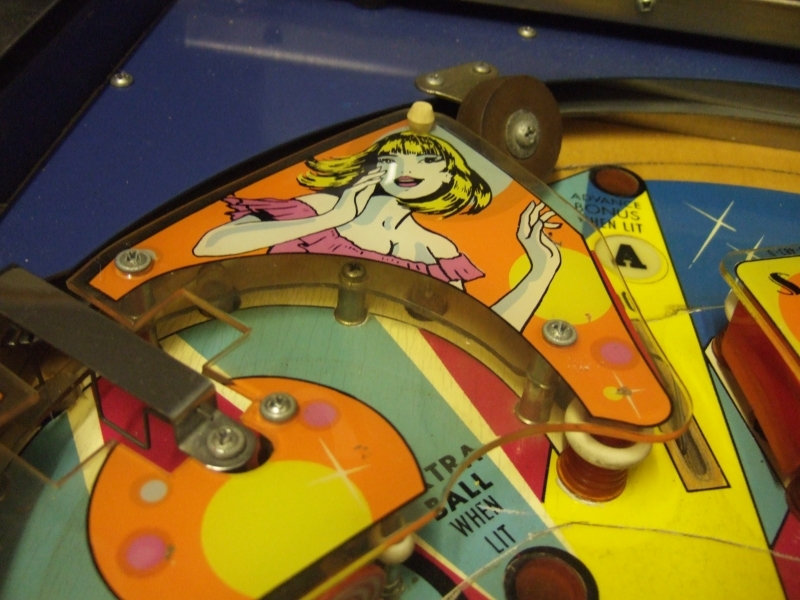 Other than replacing bulbs and rubbers, two parts of the playfield were not working properly, one was the switch in the horseshoe lane and the other was the left bank of three drop targets. That bank if you remember was actually not original to the machine and at some point had been salvaged from a Williams Gorgar so I wanted to replace the labels on them and also put new labels on the other bank as they were original and very faded. 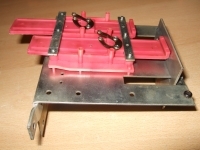 The drop targets themselves are a quite simple mechanical design with fairly crude electrical contacts on them that complete different circuits according to whether they are in the up or down position. Once they are all in the down position they are reset by a solenoid that pushes them all back up at once via a metal plate. 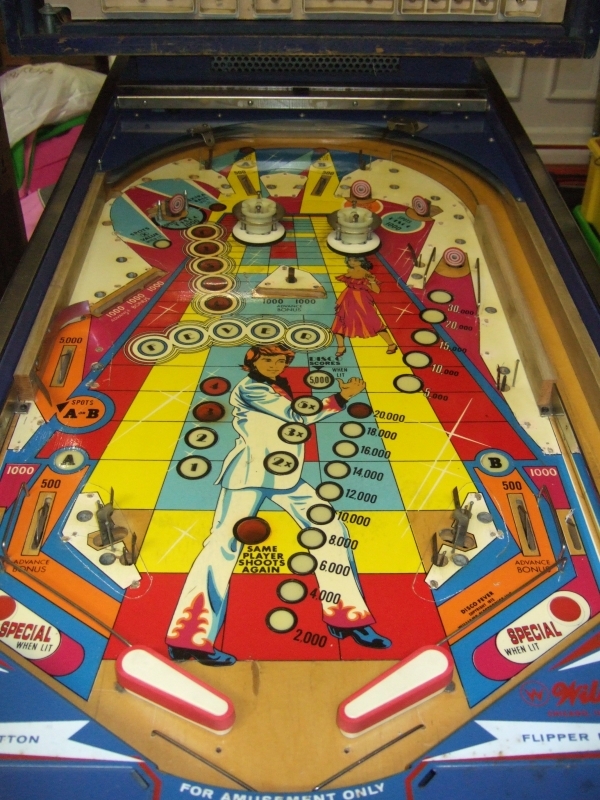 As each target drops it completes a circuit that lights up the corresponding bulb on the playfield in front of it, and when they are reset the bulb goes out as that circuit is broken. One or two of mine were dropping but the bulbs were not lighting even when I had changed the bulb so I cleaned all the contacts and re-assembled the mechanisms which fixed them and the bulbs were lighting and the drop targets were registering the points as they dropped. Once re-assembled I printed new adhesive labels that looked like the originals and applied them to all five targets. While I was under the playfield and looking around I noticed that the solenoids and the mechanisms for the pop bumpers were dirty and seemed to be sticking a little, and when I dismantled them it looked as though they had been lubricated in the past and that the lube had attracted lots of dirt and dust and it had turned into a semi solid mass on what should have been smooth and shiny pistons. Again a good dose of stripping down and cleaning sorted them out. The final problem was the switch in the horseshoe lane that was not scoring any points when the ball triggered it. 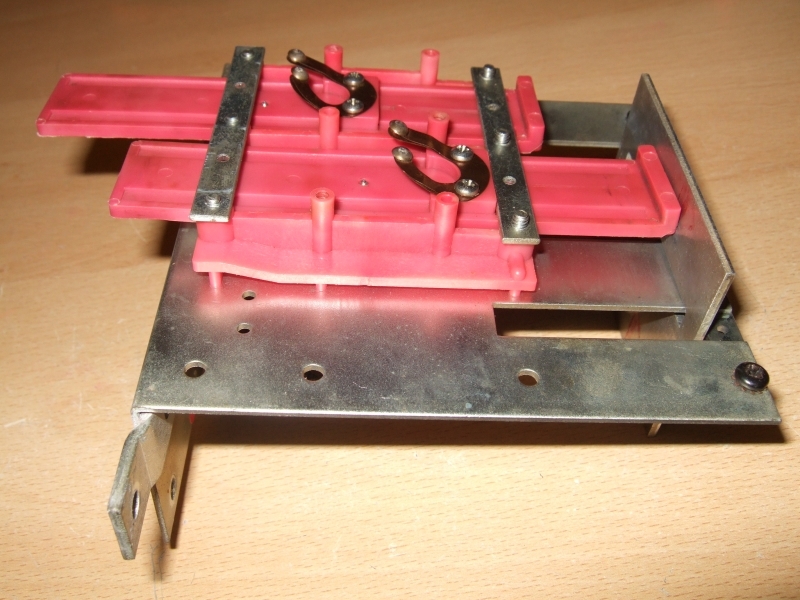 The switch is made up of a simple piece of wire that the ball pushes out of the way as it passes underneath it, and that wire is attached to one side of a leaf switch under the playfield, and it was this leaf switch that simply needed adjusting so that as the wire is moved by the ball, it pulls the leaf switch far enough to complete a circuit momentarily to register a score. As I stripped, cleaned and rebuilt the playfield items I was quite surprised to find that in general there were lots of cost cutting measures that had been put in place from the factory. Simple things like the screws that hold the stand offs in place for example. 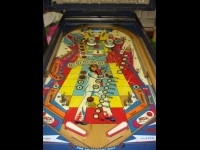 Generally around the machine these were like simple wood screws with a threaded top rather than a screw head so that a rubber or plastic cap can be screwed on to the top of them, and they were screwed in to the playfield as normal, but in certain locations they weren�t just a screw. 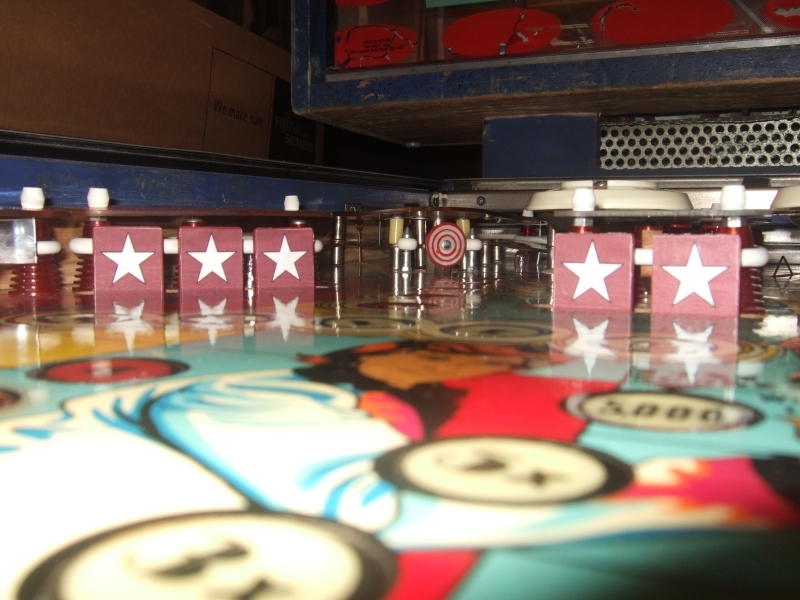 The ones that tend to take a beating during gameplay were a more substantial bolt that went through a hole drilled right through the playfield and were held underneath with a nut. I know that Williams (and other pinball manufacturers that presumably did the same thing) needed to make a profit on their machines, but this would save perhaps a few pence on each playfield and is perhaps compromising the build quality, but I guess if you save a few pence in that way and a few pence in a few other ways then over a production run of a few thousand machines it would add up. It just seems to be a little like penny pinching really. So there I am with my fully functioning 1978 Williams Disco Fever pinball machine. Is it the first of many such machines? 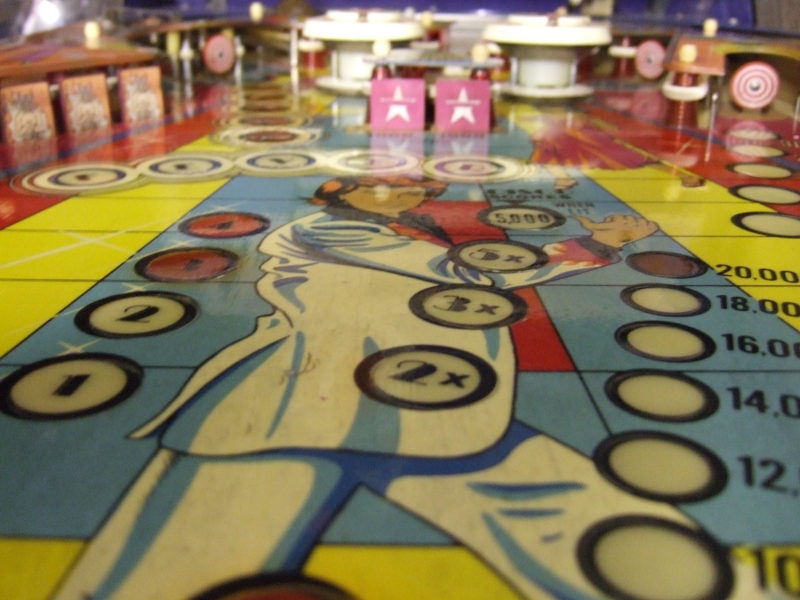 I think it�s a little early to say that, but I really would like a vintage Electro Mechanical game to fix up next.